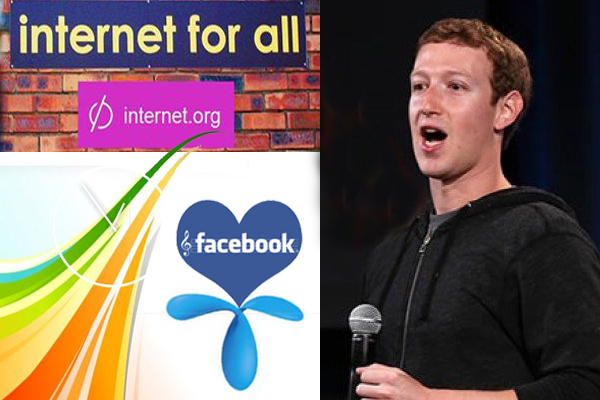 Facebook Launched Free Limited Internet For All at Internet.org | ODosta Inc.
After launching Internet.org in many other countries like; India, Ghana, Colombia, Kenya, Tanzania & Indonesia, Recently, Facebook & Telenor has been launched in Pakistan, Which through everyone can browse free internet via Telenor prepaid or postpaid platform. It’s a great news k ab internet user telenor sim k through 17 websites free of cost visit kar sakty hain, Jab k koi other site open karny se package k mutabiq charge kia jae ga.Internet.org ka purpose internet service esy logon ko provide karna hai, Jo internet services costly hony ki waja se usy use nai kar sakty, Jis me khas tor par progressive countries shamil han. Is program ko facebook founder Mark Zuckerberg ne start kia tha, Lekin is ko Facebook ne Google or kuch or big companies k sath mil kar somplete kia hai, Jin me kuch mobile companies bhi shamil han, such as; Samsung, Ericson, Mediatech, Opera software, Qualcomm, Nokia or Reliance etc, Isi tarha is program me pakistan k sath sath Zamebia, Tanzania, Kenia, Kolombia, Ghana, India, philippines, Goety Mala, Indonesia, Bangladesh, Malavi bhi shamil han. Facebook founder and CEO Mark Zucker-berg claimed that, Around one billion people in all over the world can access internet basic facilities using this program. Pakistan me abhi ye program sirf telenor provide kar raha hai, I hope k other network par bhi ye facility jald provide kar di jae gi. Pakistan ki history me ye first time opportunity provide ki gae hai k koi bhi telenor k sim se internet par seventeen sites free of cost visit kar sakta hai, Jo niche provide ki gae han. 2014 ki Ek research k mutabiq, Pakistan me 30 million se zyada desktop internet user or almost 15 million smartphone internet user han, Recently statistics check karny se pata chala hai k 2015 me 55% internet users grow howe han, Jis me 3G user ki tadad 11 million se cross kar gai hai. Internet.org ki membership k liye koi bhi apply kar sakta hai, Lekin har kisi ki application approve nai ki jati, kyun k internet.org has some rules/regulation for its users. After approval, Telenor users, Pakistan me kisi bhi location se prepaid ya postpaid sim k through mobile par connect kar k sakta hai, Jahan usy uper di gae sites ki list provide ki jae gi, Jis par wo easily access kar sakta hai. Wesy kuch smartphones k liye internet.org ki taraf se applications bhi provide kar di gae han, Jis ko relevant mobile se download kar k use kia ja sakta hai. Please Note: You don’t need to get 3G sim, As you can use telenor 2G sim to use this program, But speed will be slow at 2G.